This spring, I had the delightful opportunity to visit the Chester County Historical Society (www.chestercohistorical.org) to attend a symposium and discuss shoes in a workshop as part of the program. 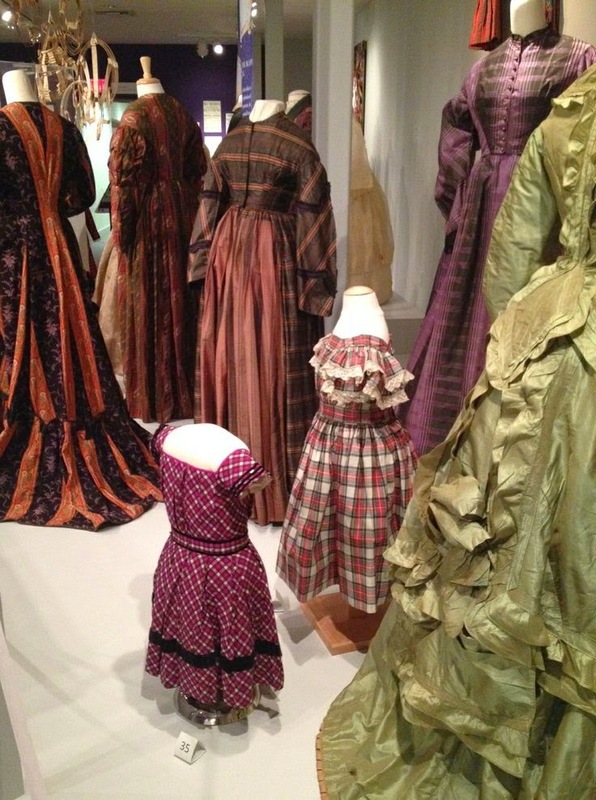 (More here) If you have the opportunity to visit and take in the exhibition “Profiles: Chester County Clothing of the 1800s, ” you will be amply rewarded. An abundant selection of garments for men, women and children form the exhibition, which was extended through 3 January 2015. As you step into the main gallery, you will be warmly greeted by well-lit and well-designed mannequins and imaginative vignettes. While there is much to absorb and the installation is quite full, it never feels overwhelming. 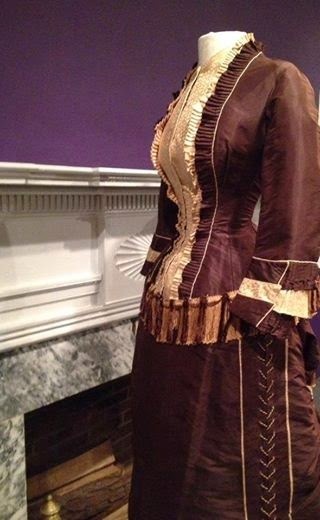 For those interested in historic garments of the 19th century, it is a treasure trove, pure and simple. 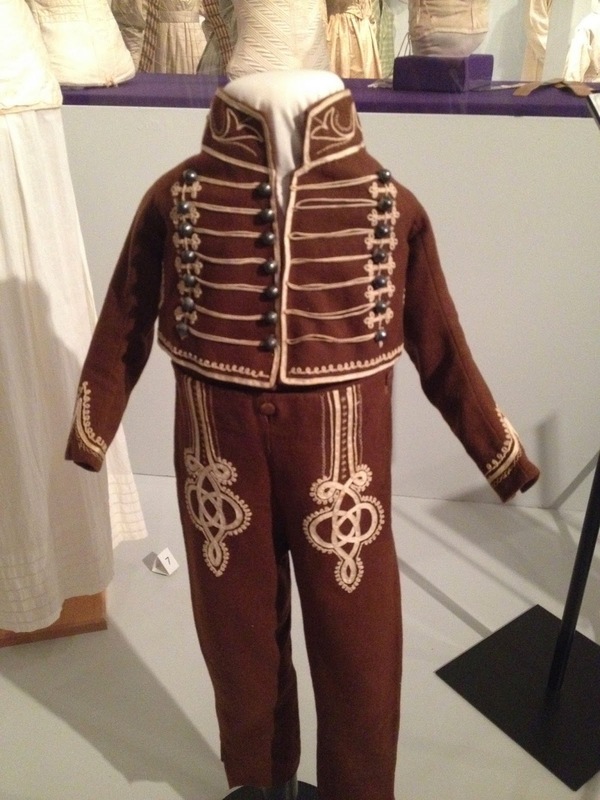 …the exhibition will include more than 40 fine and ordinary examples of outerwear worn by women, men and children that will show the evolution of clothing profiles in the 1800s. 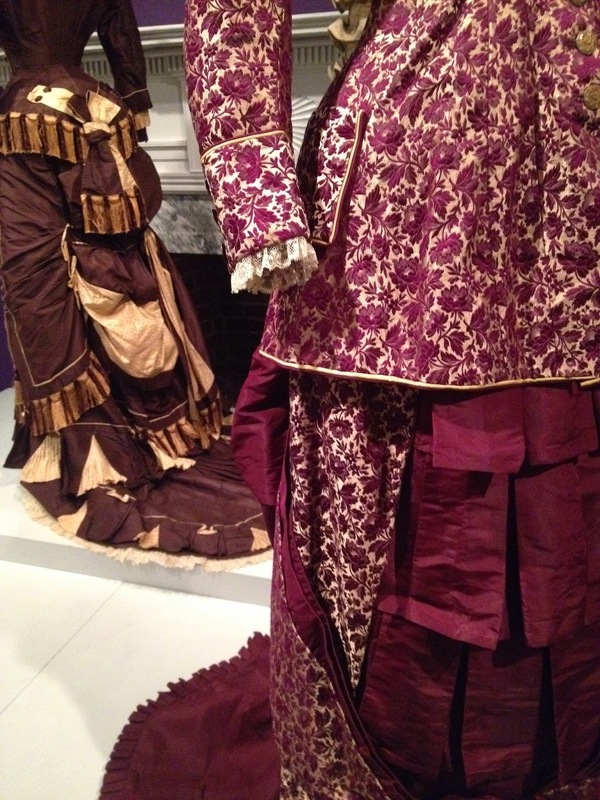 It includes Empire style gowns of the early 1800s, children’s Turkey red print dresses dating from about the 1840s, elaborate men’s vests from numerous decades, and highly detailed fashionable dresses of the Victorian era. 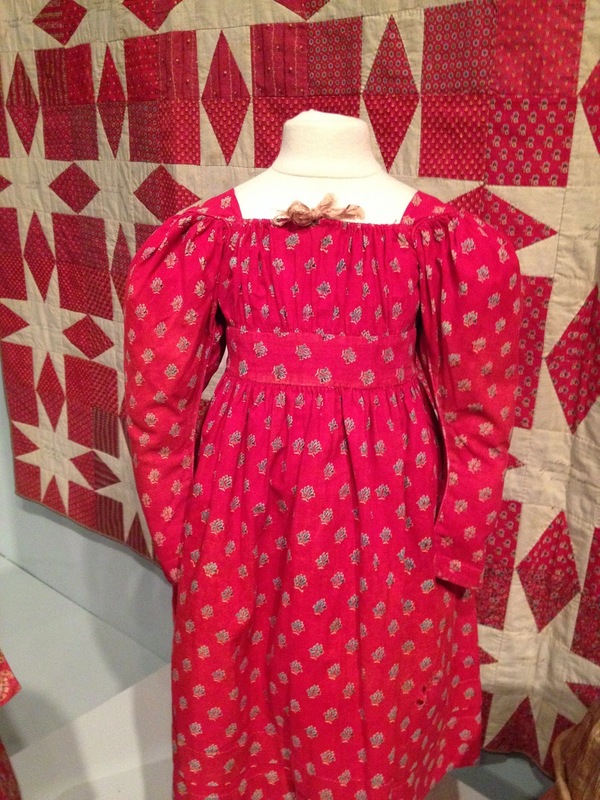 Important to Chester County, and an installation highlight, is the contrast between Quaker plain dress and fashionable wear that clearly distinguished a person’s identity within the community. 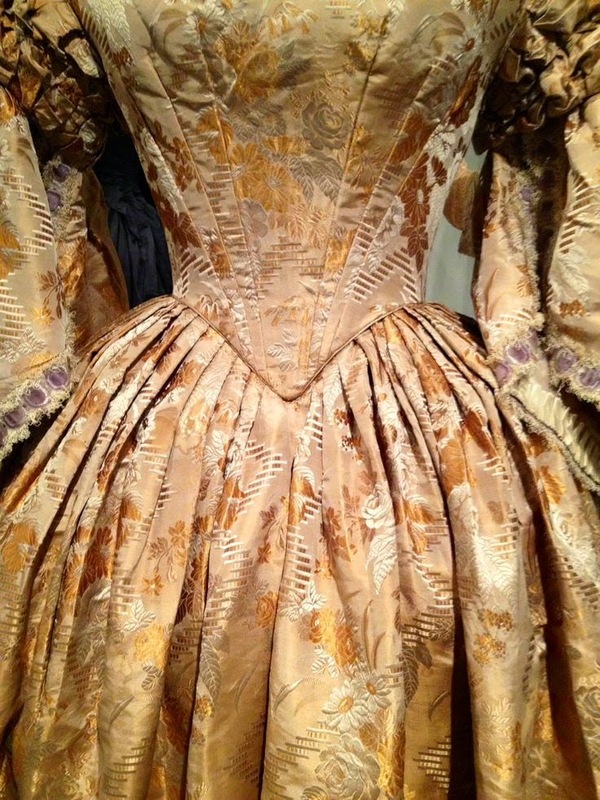 Other important aspects of local dress include fabric choices that embody the advancement of chemical dyes and styles of clothing that played a significant role in women’s health. These and other topics will shed light on the local and national trends.